When can Blacks be Homosexual, Illegal and Muslim? "WHAT THESE PEOPLE ARE TAKING FOR GRANTED HALF OF THE WORLD POPULATION IS PRAYING FOR .A billionaire has just paid $238 million in january 2019 for a penthouse condominium overlooking Manhattan's Central Park--a deal that sets a record for a…"
"From: Raa Tehuti To: theblacklist@lists.riseup.net, Mulugeta Haile Subject: Re: [TheBlackList] The battle of Empress Taytu Betul Date: Tue, 5 Mar 2019 12:07:50 +0000 (UTC) Greetings Of perfect pace and Love ThAnkh you for the wonderful…"
EuropeArlene Johnson replied to TBL_Promoter's discussion When can Blacks be Homosexual, Illegal and Muslim? "A sister who knew what the NAACP really represented was targeted because of it. You can read her story here: http://www.truedemocracy.net/td24/30.html She passed away on January 28, 2018. I still miss her. 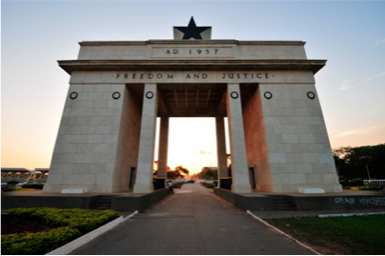 She was my best friend in the United…"
CaricomWes Barnard replied to TBL_Promoter's discussion Return To Ghana: Historic Trip to Ghana to Mark 400th Anniversary of Africans Arriving to U.S. in 1619 through “The Door of No Return” in the group Who I am for Africa and Africans? "Once again, our people are being deceived and exploited by those who look like us, but are not of us. This whole "Back to Ghana" movement is a satanic snare, distracting true Israel from our real mission. For example, the 400 year…"
NYMetroTBL_Promoter added a discussion to the group Who I am for Africa and Africans? NYMetroTBL_Promoter added a discussion to the group Call To Action - Now Is The Time! "Authorities are stating that people have committed suicide when the fact is that they have been murdered. Homeopathic doctors come to mind as at least 100 of them have been murdered. Dr. Jeff Bradstreet in Florida was collaborating with Dr. Nicholas…"
ShhOut! is the promotional arm of TheBlackList. ShhOut positions PAID and featured articles to ensure that the get the maximum exposure on TheBlackList and other social networks across the internet. Help me help you promote you. Help Me Help You Get Your Message Out - ShhOut! Police Departments are white pseudo-supremacist strongholds‏. Strip For Me - A poem by Bob Doughtie.